The following blog post was recently brought to my attention. I'd like to thank the Southeast Sasquatch Association for the kind words. 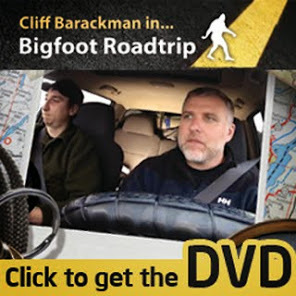 Oregon researcher Cliff Barackman has one of the best blogs out there, full of great information and terrific photography (the views he has on his blog of the Pacific Northwest are BREATH-TAKING!) Anyone who reads this blog will get a true feel of what it is like in the field, and also get to "ride along" with a terrific researcher. Kudos to Cliff and his blog! Hey, Cliff. This is Henry May, the proprietor of the Southeast Sasquatch Association blog. Just wanted to say you're welcome, and keep up the great work!!! "Very informative and useful article. i really enjoy reading your blog and learning from it."